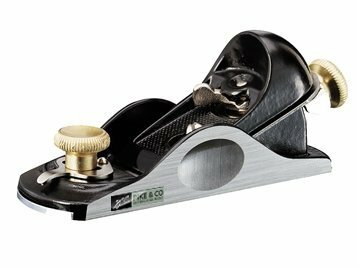 This fully adjustable block plane has a body made from fine grey iron which is precision machined. It is fully adjustable for depth-of-cut, cutter alignment and size of mouth. It is ideal for end grain and general purpose fine finishing work and comes with a pouch for convenient storage. The precision carbon alloy steel blade is 40mm wide. Cutter seats at 21 degrees.